Trying to locate precisely from where lavender hails is not an easy thing to do. Lavender is said to be native to the mountainous regions of the countries bordering the western half of the Mediterranean but may also have first been domesticated by the Arabians. Of course, the English are known for their lavender, too! Its origins may be hard to pinpoint, but its long history definitely stretches back to the Ancient Greeks, Egyptians, and Romans. What is known for sure is that the root word for lavender is "lavo" which is actually Latin meaning "to wash." This makes sense considering that lavender has been used for centuries to make perfumes, scented wash water, medicinal cleansers, and soap. So why cook with it? 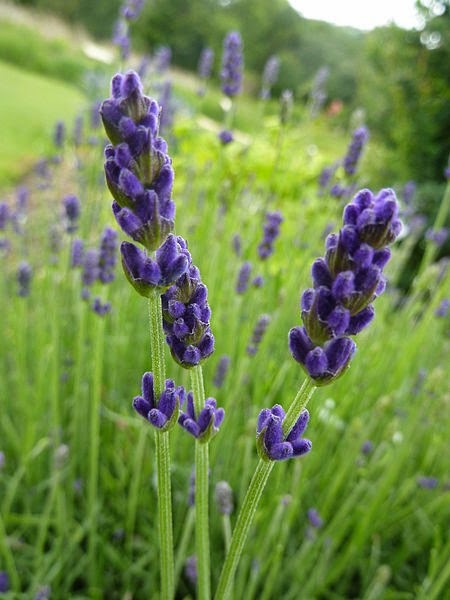 Lavender plants come in a variety of types but English Lavender (lavendula angustifolia) is considered to be the sweetest and therefore the one that is used most often for cooking. Surprisingly though, English Lavender was not actually introduced to England until the 1600s! I like to use lavender in certain baking recipes because its floral sharpness, which is similar in flavor and intensity to rosemary, works well at cutting sweetness. However, lavender flowers can be used for many other culinary purposes such as in vinegars, salads, jellies, ice creams, soft drinks, spice mixtures such as Herbs de Provence, and candies. 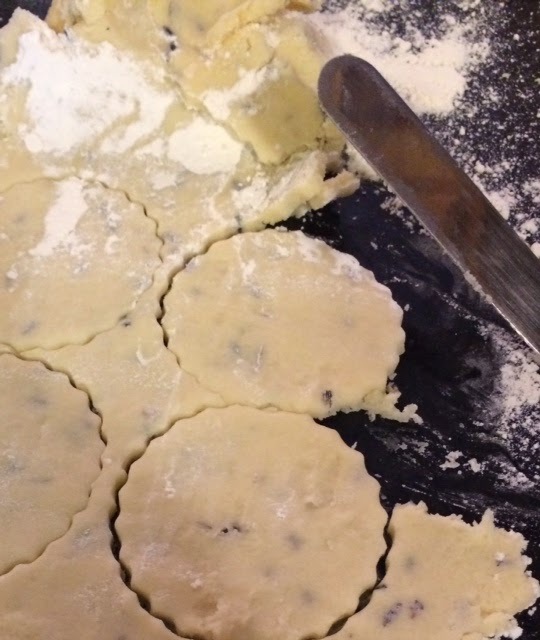 Try this recipe for shortbread cookies with lavender to get a new appreciation for these fragrant flower buds. A little lavender goes a long way to making a delicious confection! (Based on a Food Network Recipe but with half the lavender called for in the original recipe and make sure to refrigerate the dough for at least one hour prior to rolling out).